Ireland has a magnetism that pulls at my soul. It's the kind of pull that makes it possible to imagine casting off regular life, donning a backpack, wandering the earthy, artsy streets, roaming the rugged coastline, and being perfectly fulfilled. The kind of pull that feels as if simply by being in this country, the chance of becoming a great novelist or playwright or poet (or blogger/travel writer) is within reach. 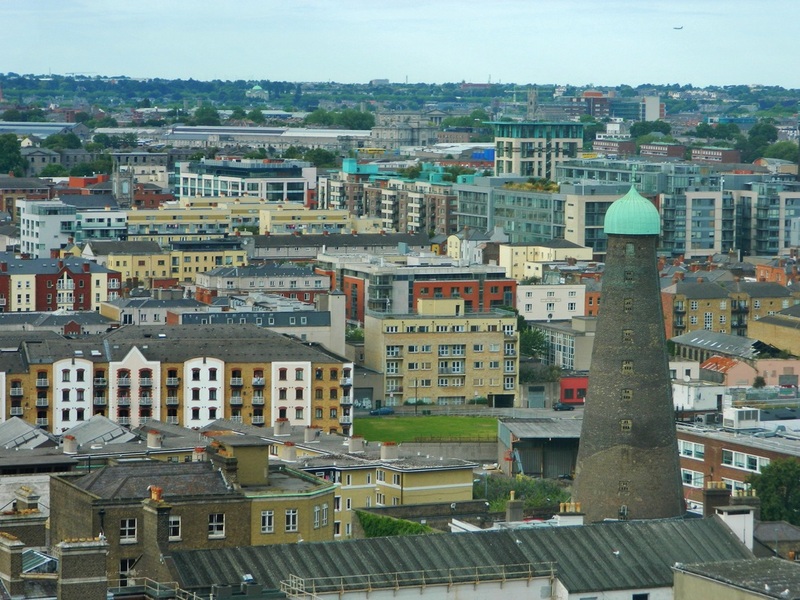 Dublin is not a fancy city, which is probably one of the reasons I like it so much. It's a city of authentic, kind, and hard-working people who value time with family and friends, and have a strong sense of pride in their heritage. 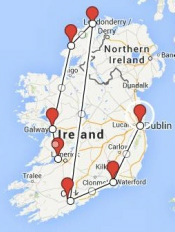 This is the zig-zaggy order of the driving route we took through Ireland, starting in Dublin and heading south...where possible, we stayed near the coast, and due to time constraints, we only skirted Northern Ireland, which is a separate country. The lines on the map are strictly directional, and not the actual route, but seeing it laid out this way, I can honestly say that I feel I have REALLY seen Ireland! Ireland "jokes" of experiencing four weather seasons in one day, but the joke isn't too far off. If you visit, be prepared with good rain gear, and layers...we definitely saw a wide variety of weather some days, from heavy fog to pouring rain to very warm temps, to thunder & lightening, in the middle of July. Aside from producing beautiful sweaters from the wool of the many sheep in Ireland, Dublin is famous for two other products...Guinness Beer and Jameson Irish Whiskey. As I was explaining to my children as we headed into the whiskey factory (at 10:30 AM), these products are closely tied into the history and culture of Dublin, and are therefore worthy of learning about. Despite questions like, "You KNOW we're only kids, right?" And, "Do you REALLY think you should be dragging us along on all of these alcohol tours?" in the end, we all learned a lot and it wasn't nearly as debaucherous or boring as feared. 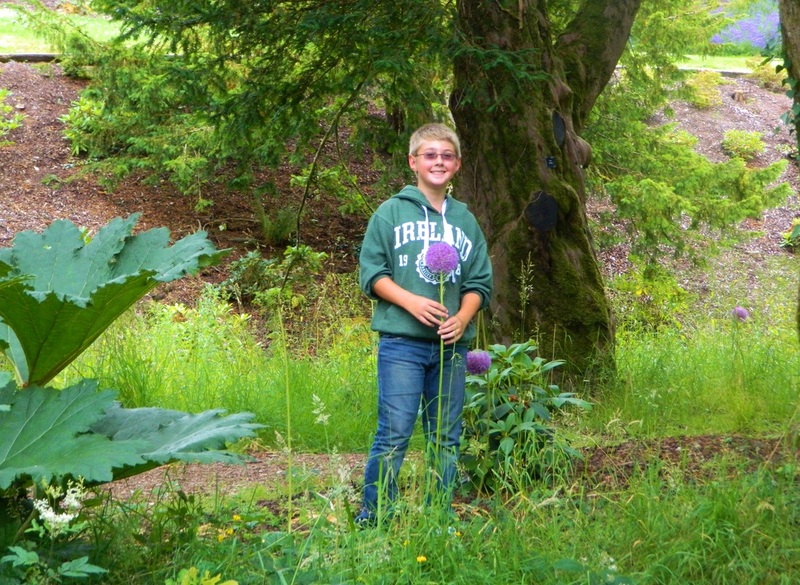 Both of the tours are designed to be family-friendly and offer family rates for admission at a slightly reduced price. The Guinness tour is self-guided through "the world's largest pint glass" which rises up through seven floors, culminating at the top in the circular, floor-to-ceiling glass tasting room. You can go at your own pace through the displays, spending more time on what interests you, and skipping what doesn't. Allow 1-2 hours to take in the whole tour and drink your pint at the end while enjoying the view. The Jameson tour is led by a guide who keeps it lively and entertaining. The word whiskey, in Gaelic, means "water of life," and the Irish definitely embrace this philosophy! The tour is informative, highlighting the differences between Scotch whiskey and Irish whiskey, and a few random folks are chosen to participate in a special tasting at the end of the tour to taste the differences for themselves. 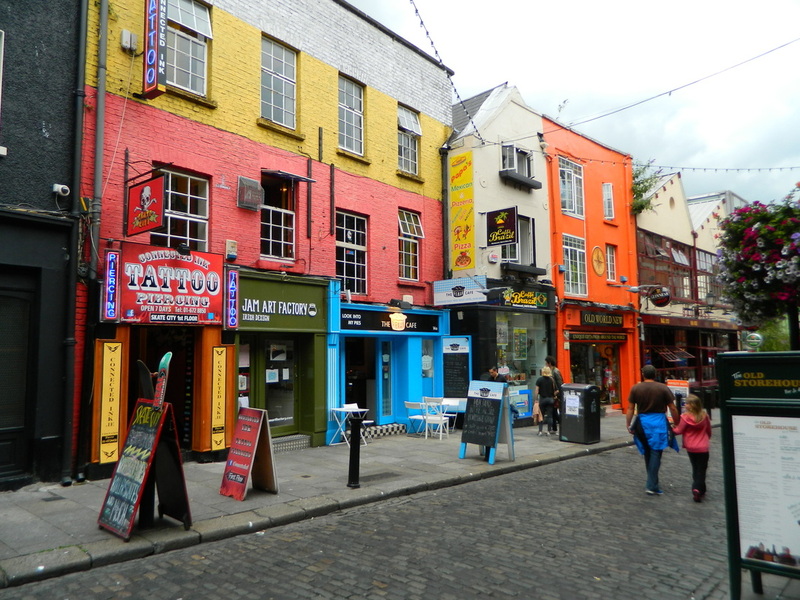 Temple Bar, Dublin's cultural quarter, really is the heart of Dublin. 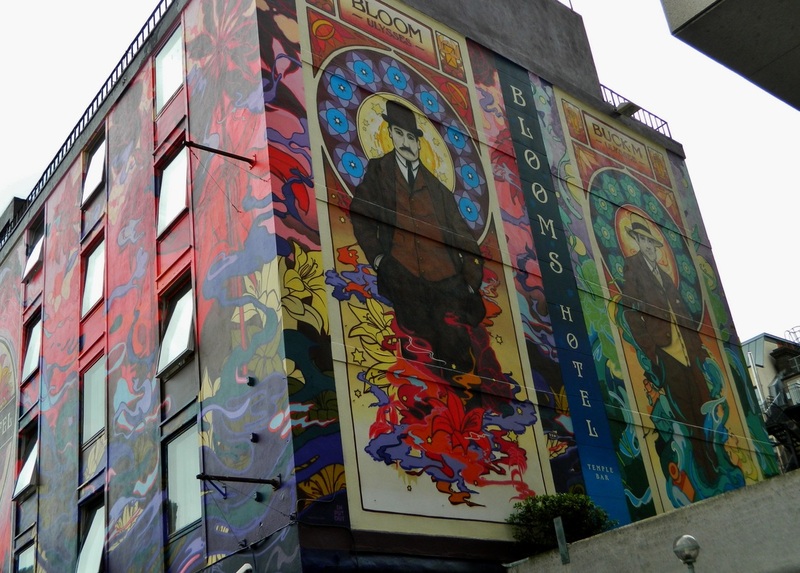 Nestled on the south bank of the River Liffey, the Temple Bar area is a maze of cobbled streets filled with quirky shops, a wide range of restaurants, pubs, galleries, and theaters. 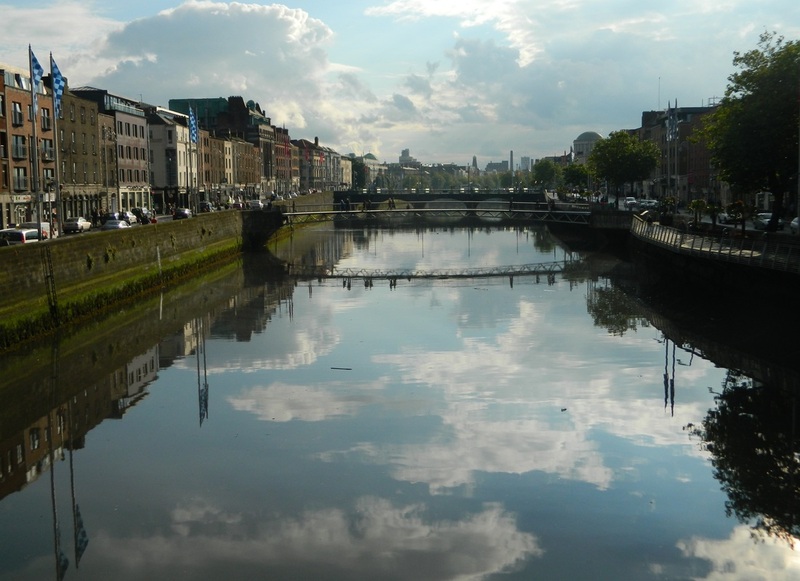 From the north side of the river, you can cross over Ha'penny bridge, walk through Merchant's Arch, hang a right, and you're in Temple Bar. 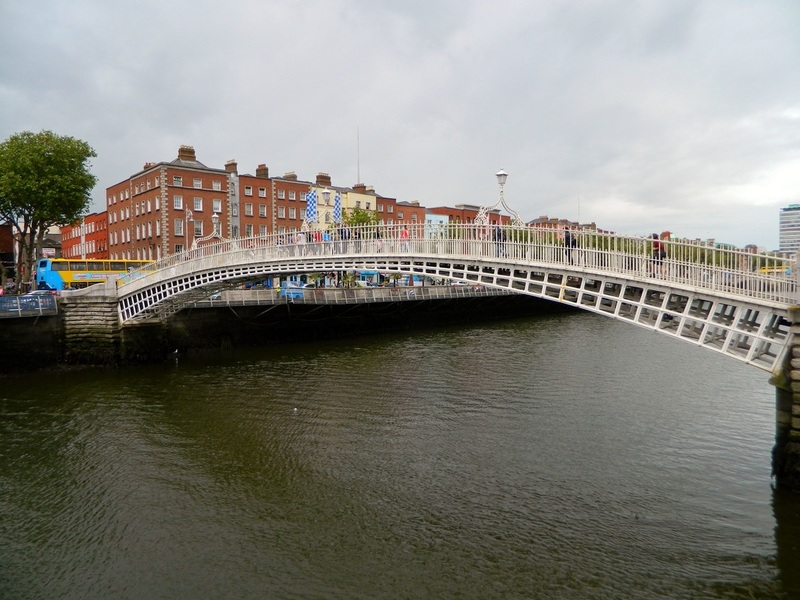 Built in 1816, Ha'penny Bridge was the only way to cross the river by foot until the completion of the Millenium Bridge in 1999. When Ha'Penny first opened, the price to cross the bridge was a half penny (ha'penny) and though it was officially named the Liffey Bridge in 1922, the Ha'penny name stuck. 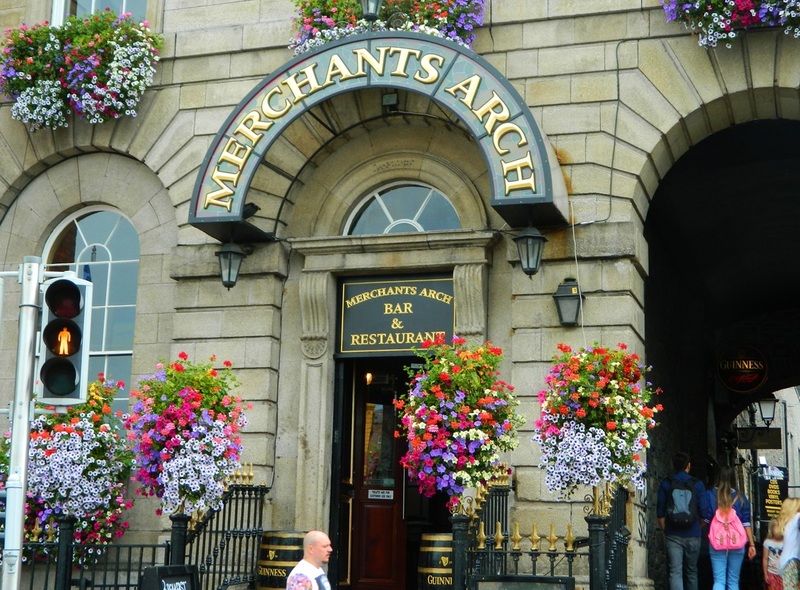 Merchant's Arch is sort of the "gateway" to Temple Bar from the riverside. The Brazen Head, the oldest pub in Ireland, established 1198. 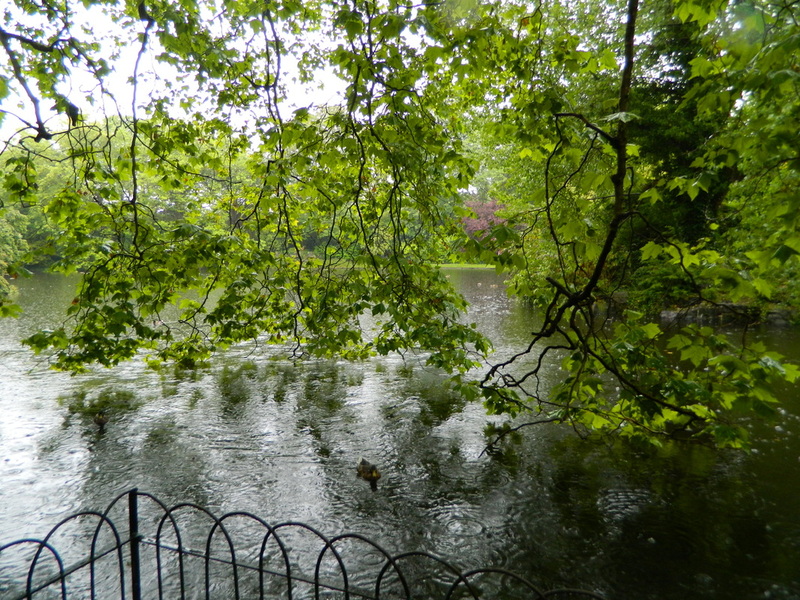 St. Stephen's Green, a beautiful city park in Dublin. It was even pretty in the pouring rain! County Cork has one of the largest natural harbors in the world. The oldest yacht club in the world was founded here in 1720 , and Cork Harbor was the last port of call for the Titanic before it sailed off on its fateful voyage. County Cork is also home to many major pharmaceutical companies and is seen as a global market leader in this field. 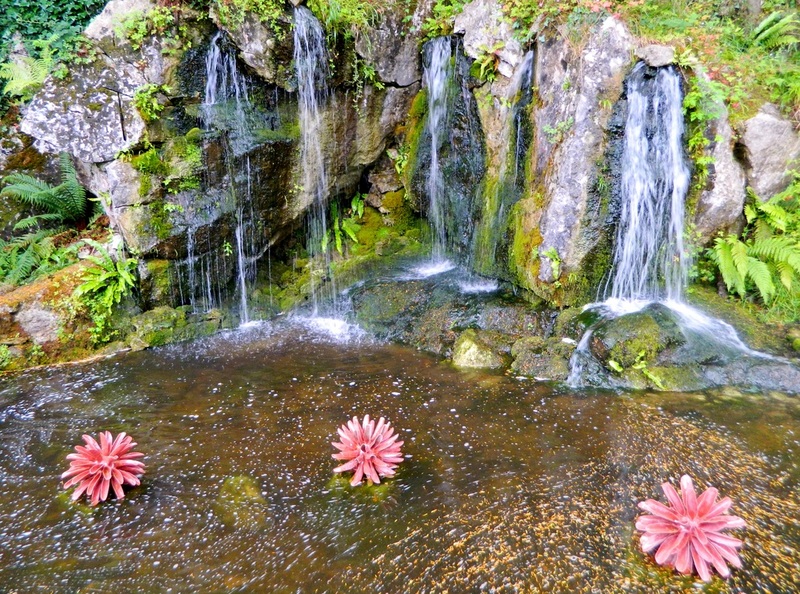 The small town of Waterford in County Cork is known worldwide for its production of Waterford Crystal and there is a large factory store that you can visit here. 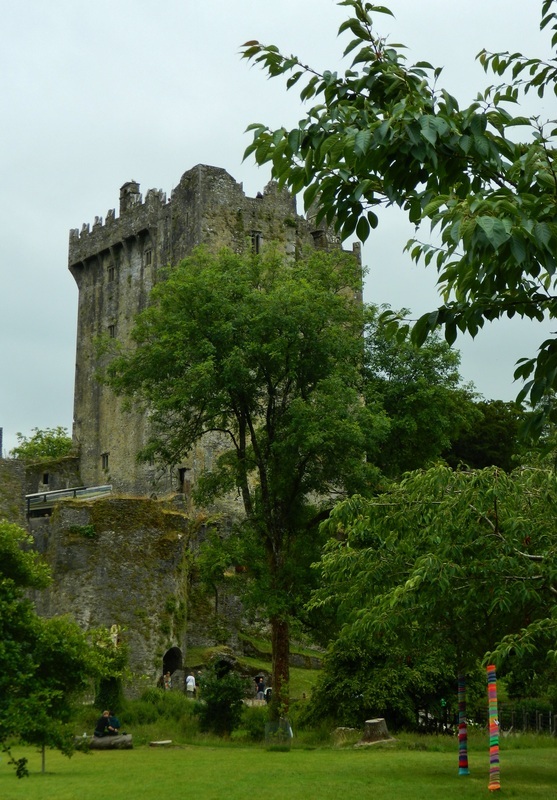 Our County Cork destination was beautiful Blarney Castle. 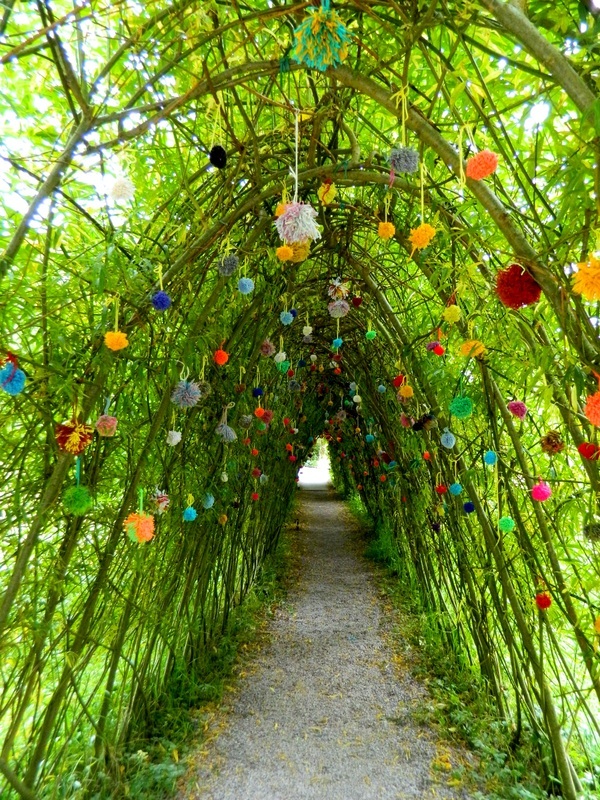 Pom-pom arbor. The pom-poms were part of a knitting campaign that was on display all around the grounds. Flowers Dr. Suess would be proud of! 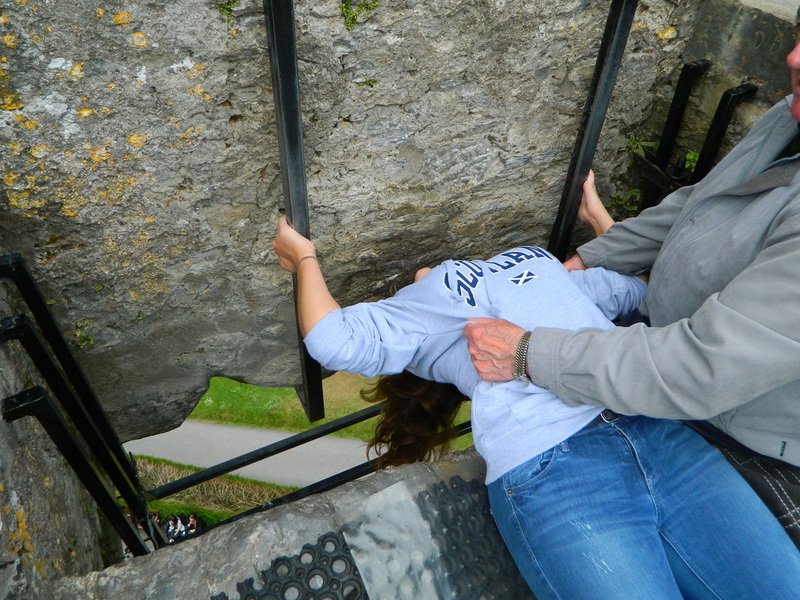 At the top of Blarney Castle is the Blarney Stone, basically a piece of rock with a lengthy and questionable history. Many legends, and few facts, abound about the history of this particular stone, but no one who is still alive today really knows the truth. The most commonly accepted story about the stone is that it was a gift from Scotland to Cormack McCarthy, King of Munster, (a province in Ireland), in thanks for support during the battle of Bannockburn in 1314. 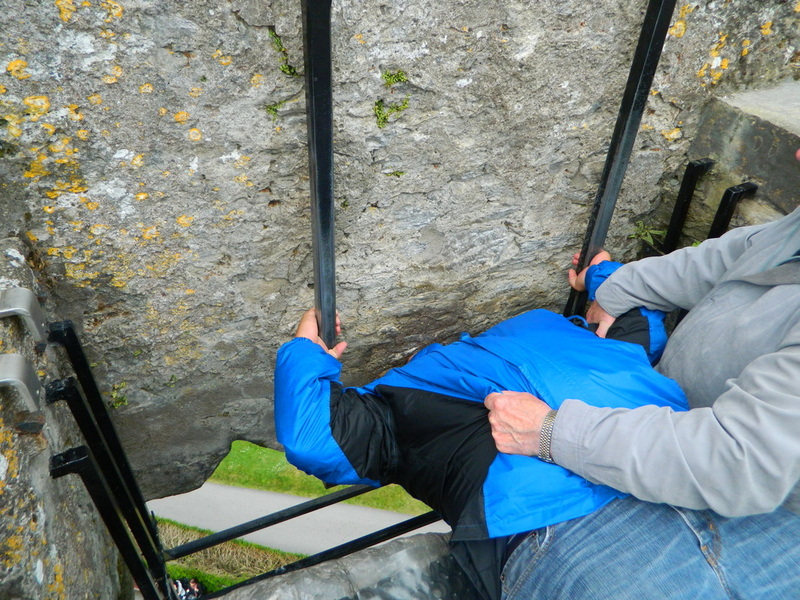 A century later, in 1446, King Dermot McCarthy then installed the stone in a large castle he constructed, which is the Blarney Castle that remains today. The McCarthy’s were powerful leaders and warriors, but they were also patrons of Irish culture, music and art. 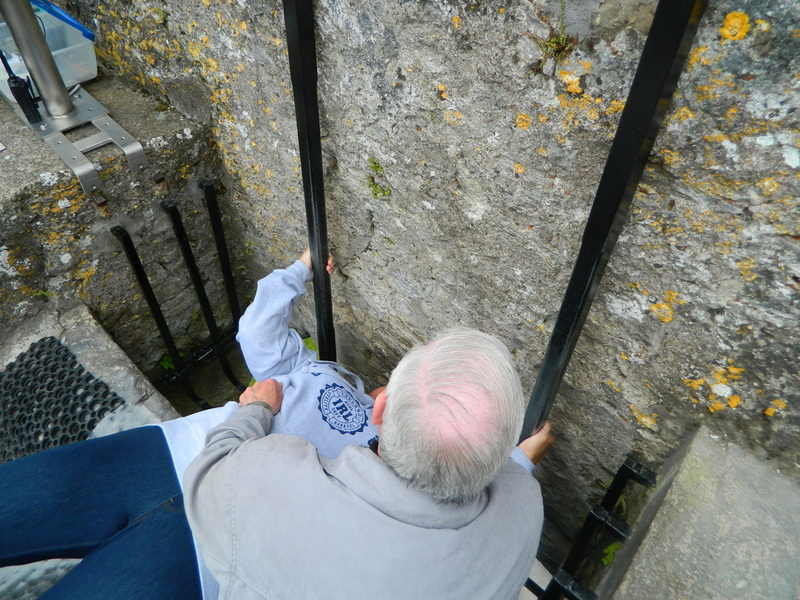 They established a Bardic (Poetry) School at Blarney, which attracted scholars from throughout Ireland. 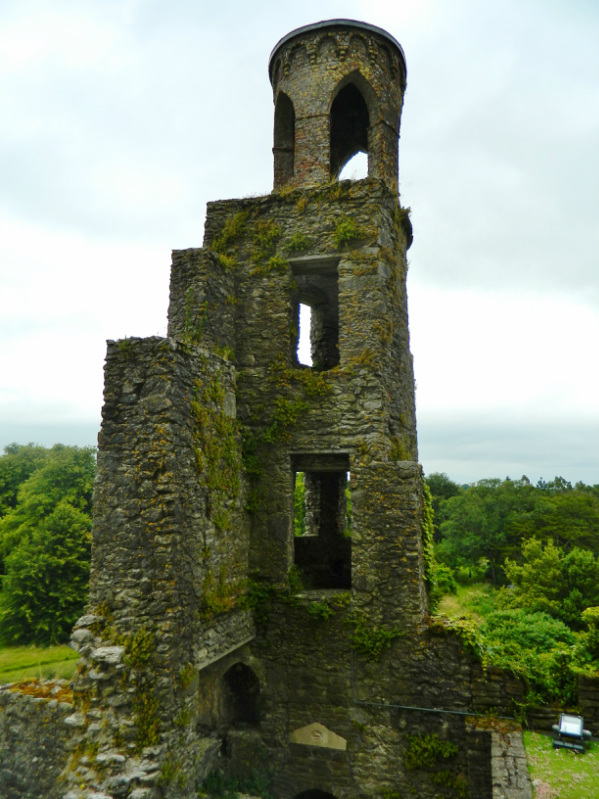 By the 1600’s Blarney had become well known as a Court of Poetry where poets gathered to read their compositions. There is a rather lengthy story involving Queen Elizabeth 1, who was Queen of England and Ireland at the time, about how she made a decree that the Irish should get to occupy their own lands, but only if they were titled to them by her. Cormac McCarthy, the Lord of Blarney, received requests from the Queen to give his land over and he replied, saying he was glad to pledge his loyalty to the Queen. His letters to the Queen were well-worded and worked to subtly keep the Queen happy for quite some time, without acting on her request. The story goes that after receiving another of his charming messages, the Queen flung down his letter and said, “Oh! 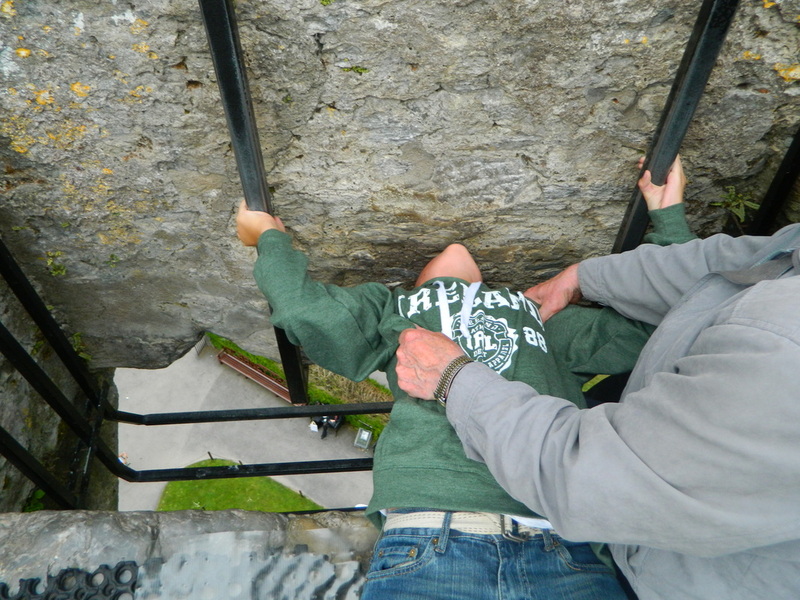 He’s just giving me a lot more blarney!! !” So the stone, from that time on, came to signify the gift of eloquent speech. 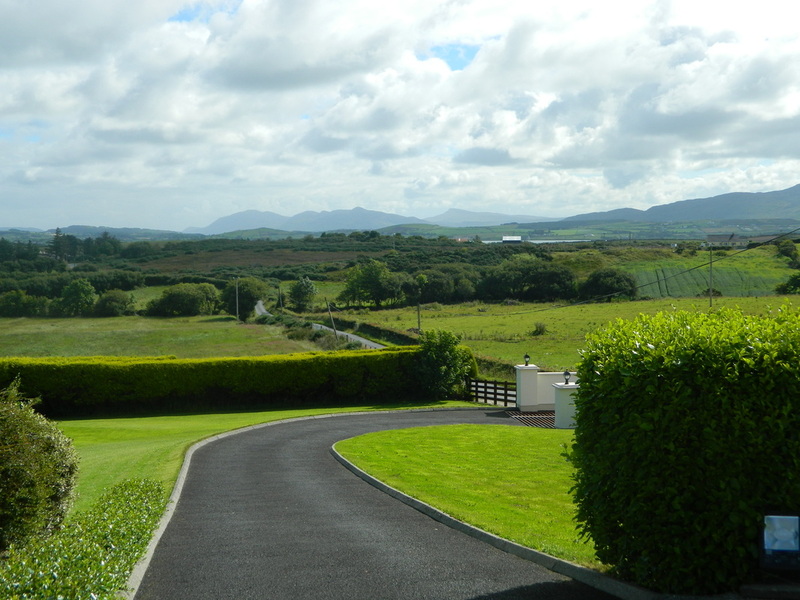 From County Cork in the south, we drove all the way north to County Donegal, and the Rosguill Peninsula. We stayed at the lovely Sonas Bed & Breakfast in Upper Carrick Carigart which has been run for 22 years by Ann and Myles Gallagher. Situated on a hillside surrounded only by trees and farmland, it's a quiet escape, and Ann's "full Irish breakfast" complete with homemade bread, was amazing. Such nice people in a beautiful setting. 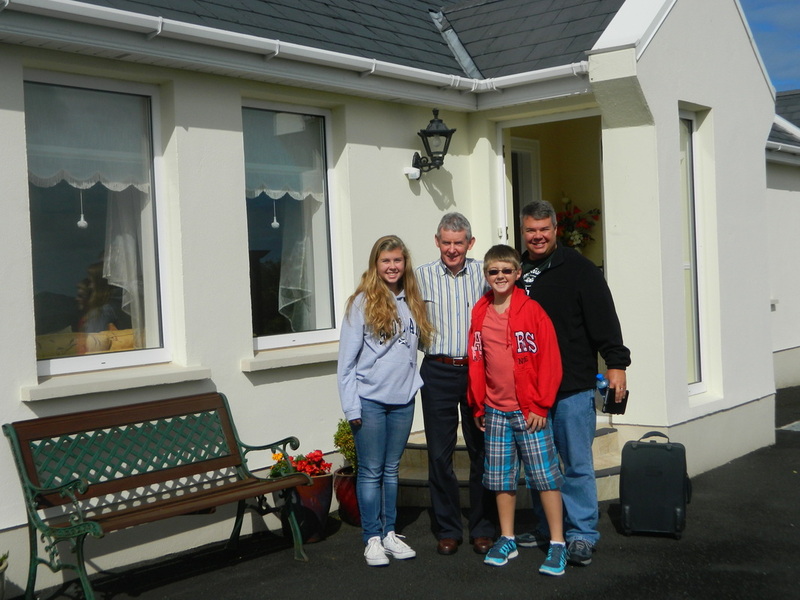 With Myles Gallagher, one of our proprietors, at Sonas B & B in Upper Carrick Carrigart. View from our B&B in Carrigart. 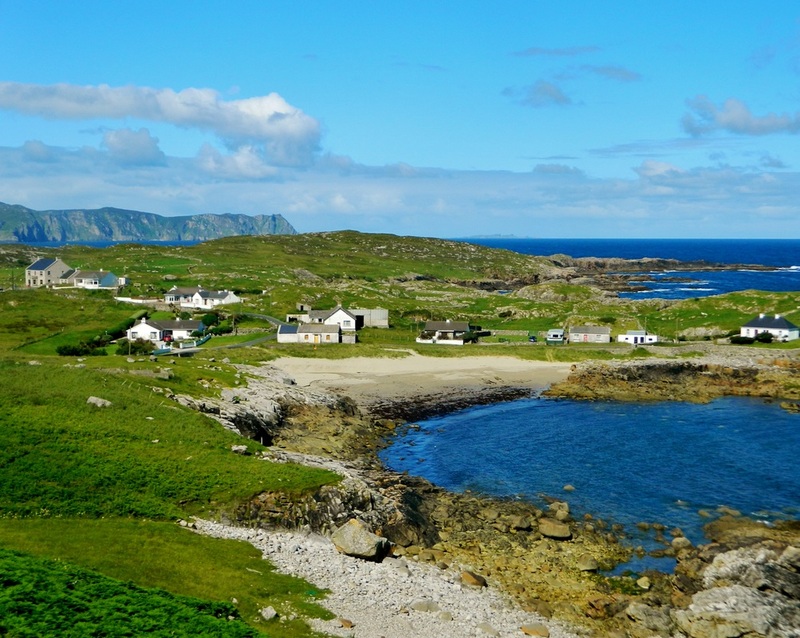 The Rosbeg Peninsula and Dawros Bay are located in County Donegal but are so remote, you will likely not find either of them on Google Maps. The nearest town in this area is Portnoo, but it's really a village at best. 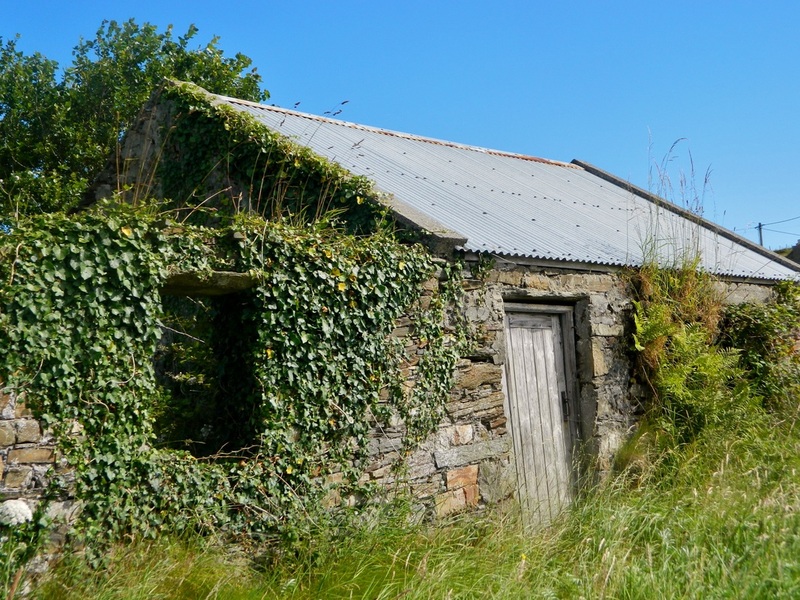 Our interest in this area was the beautiful coastline, and a tiny little island called Roan Inish Many years ago my husband and I watched a quirky little movie called The Secret of Roan Inish. It was made in 1994 and is a (fictional) story about a family that lives on this island in County Donegal, Ireland. For whatever reason, this odd little movie just resonated with my family, and we've now seen it many times over. I think we enjoy it as much for the scenery, the people, and the general "Irish-ness" of it as we do for the story. 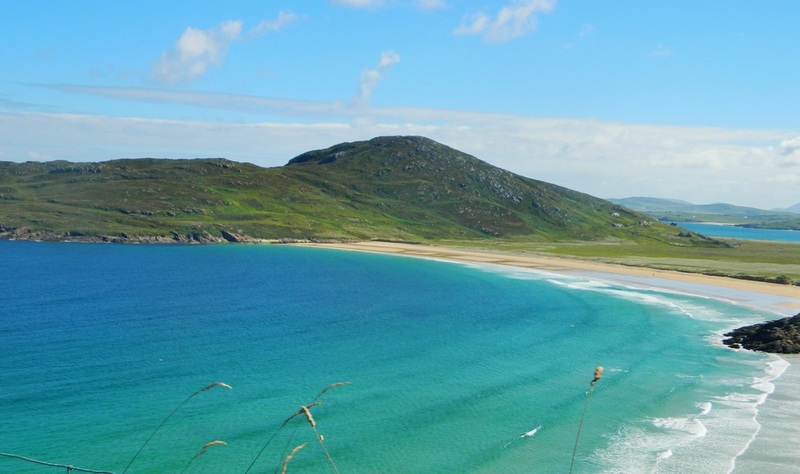 It was filmed near Dawros Bay on the Rosbeg Peninsula. The movie is this area's biggest claim to fame (and "fame" is WAY overstating), but there is a little restaurant just up from the beach (the ONLY restaurant for miles) called the Dawros Bay House, that has dedicated one wall of the tiny establishment to memorabilia from the film. Looking out over Dawros Bay. 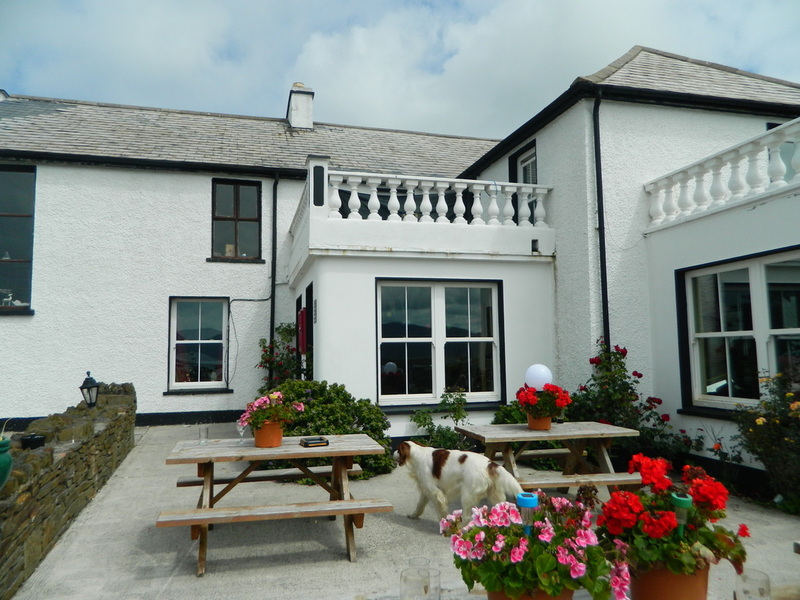 The Dawros Bay House...a small pub and the only thing for MILES on the Rosbeg Peninsula near Portnoo. 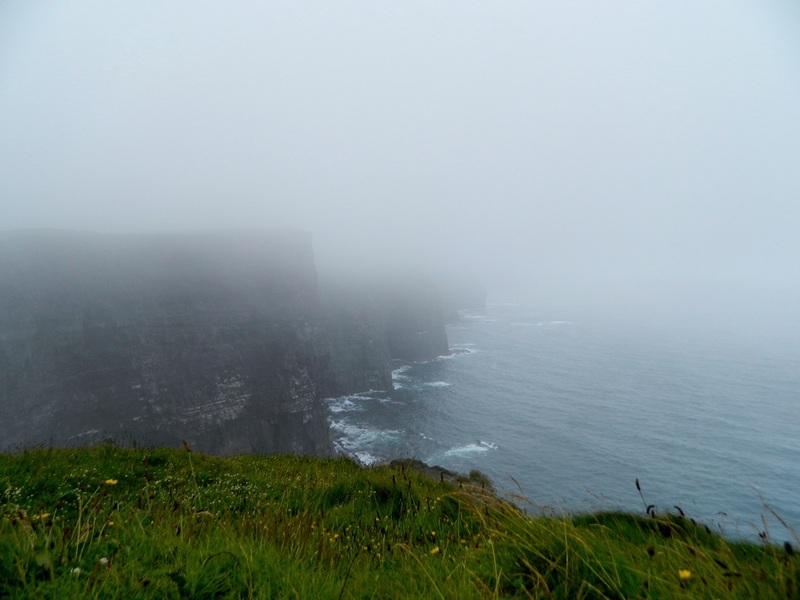 The Cliffs of Moher, near Doolin in Co. Clare are supposed to be magnificent, and I can tell even from what we saw that indeed, they are a beautiful sight! Unfortunately we had heavy rain that morning and didn't get to fully appreciate the beauty of the coastline. As a result, we got to spend some time with some cows that live near the visitor center at the cliffs. It seemed a bit of a random place to have cows, but on a rainy day when the view was poor, these gentle animals made for a fun and memorable visit. 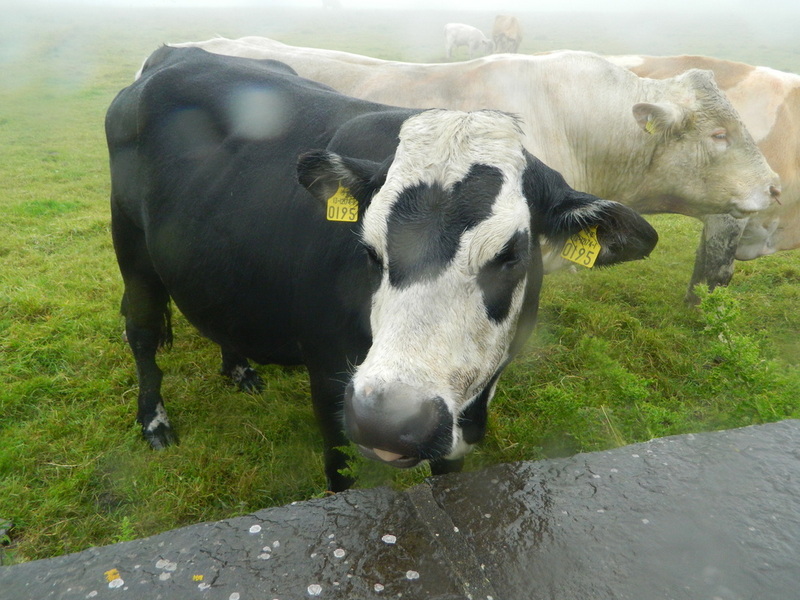 Cows at the Cliffs of Moher...they didn't seem to mind the rain at all! From Doolin, we headed to Shannon and flew home... Taking in the sights of Dublin was fantastic, but for me the star of this trip was the far northwest coast at the Rosguill Peninsula...simply spectacular. Remote, untouched, pristine, and barely another soul anywhere... Since returning home, I've been reading about the Dingle Peninsula in County Kerry. 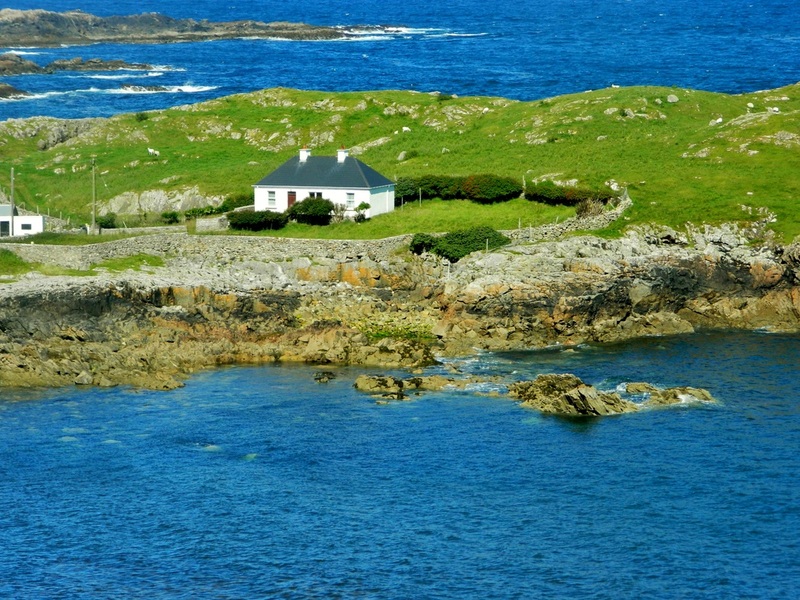 It appears to have a similarly amazing coastline like the Rosguill Peninsula, but is closer to some of the other places you would be likely to visit in Ireland. So, from the "live and learn" files, if we were to go again, we might save some drive time and just head to Dingle. Safe travels, friends!